In a new report, analysts at Oppenheimer laid out their technical case for why they believe that the stock market has not reached its peak. In fact, analysts see several reasons that traders should expect a breakout to new all-time highs for the S&P 500 in coming weeks. According to the report, Oppenheimer analysts see technical evidence that now is the time to buy stocks. The most compelling bullish evidence in the report is a recent breakout that analysts see in the Russell 2000. Analysts have two indicators that they use to determine a breakout of the Russell 2000: 1. The index makes a new 52-week high and 2. The index’s 52-week rate-of-change is lower than 10 percent. 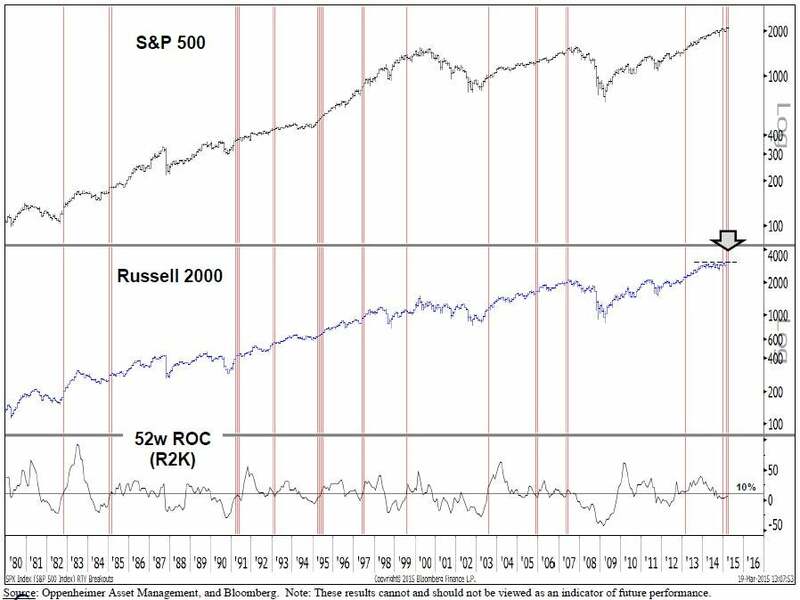 According to the report, the Russell 2000 recently met both qualifications for a breakout. What Does The Russell 2000 Breakout Mean? Analysts have found that, historically, this type of breakout in the Russell 2000 has been an indicator of two things. First, it is an indicator that the S&P 500 is not at a top. Second, performance of the S&P 500 following this type of Russell 2000 breakout has been above-average. Since 1979, in the 4, 13, 26, and 52-week periods after the Russell 2000 meets these criteria, the S&P 500’s returns have been 1.4, 3.5, 8.3, and 16.0 percent respectively. In addition to the Russell 2000 buy indicator, analysts like the current overall technical picture of the S&P 500, which they see as still firmly entrenched in an uptrend. 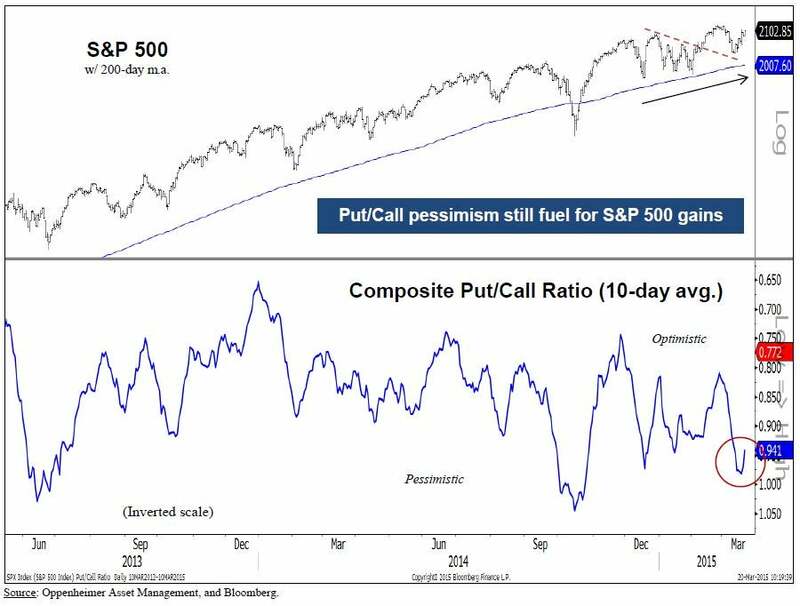 Analysts note that the pessimism implied by the current 0.94 10-day composite put/call ratio adds contrarian “fuel” to their technical buy case.